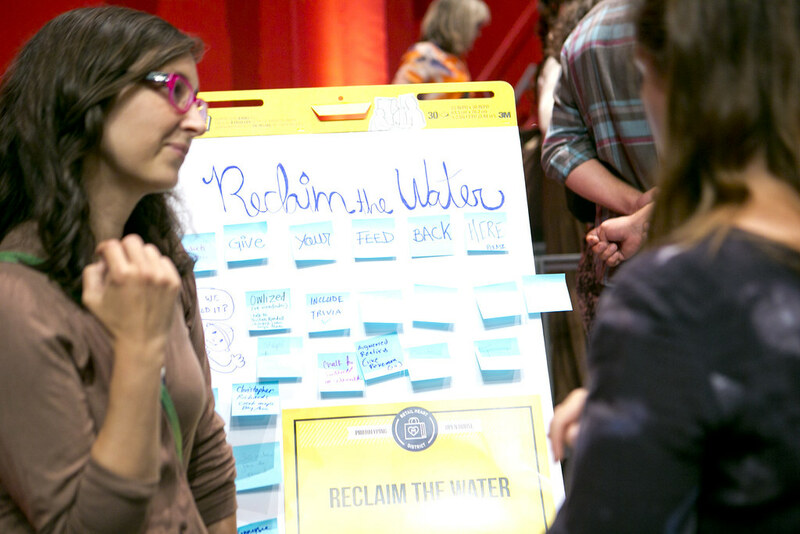 Reclaim the Water. 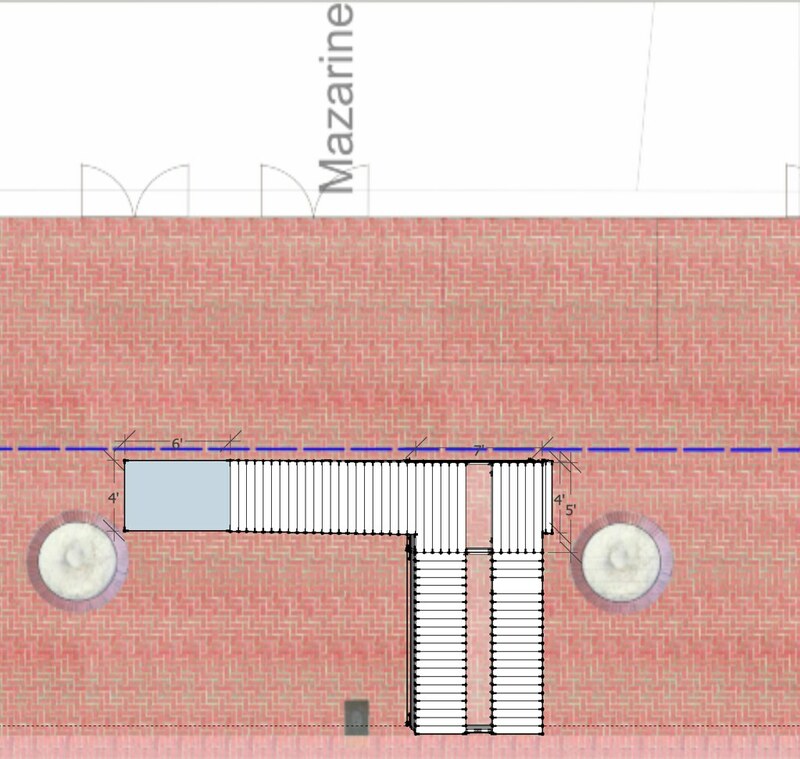 Rendering courtesy of the project team. 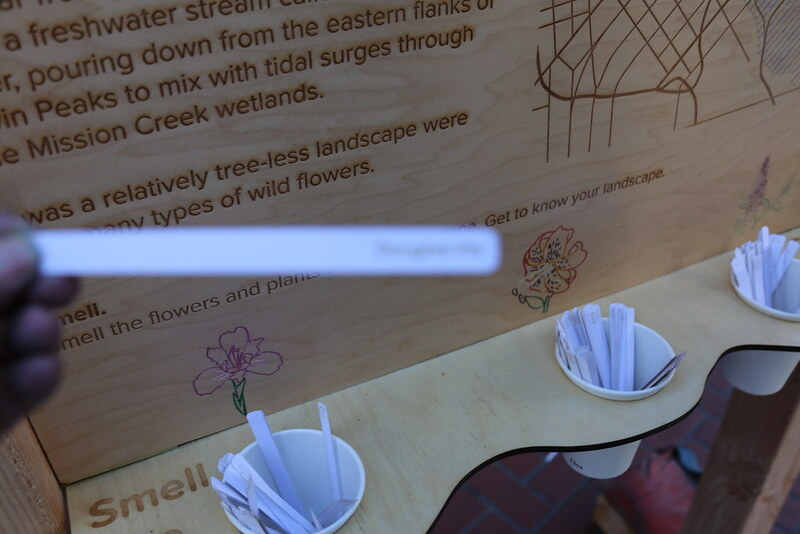 Reclaim The Water is an informational, participatory and sensorial installation on San Francisco’s unused watersheds, engaging people with the ecological and social playfulness aspects of water in the city. 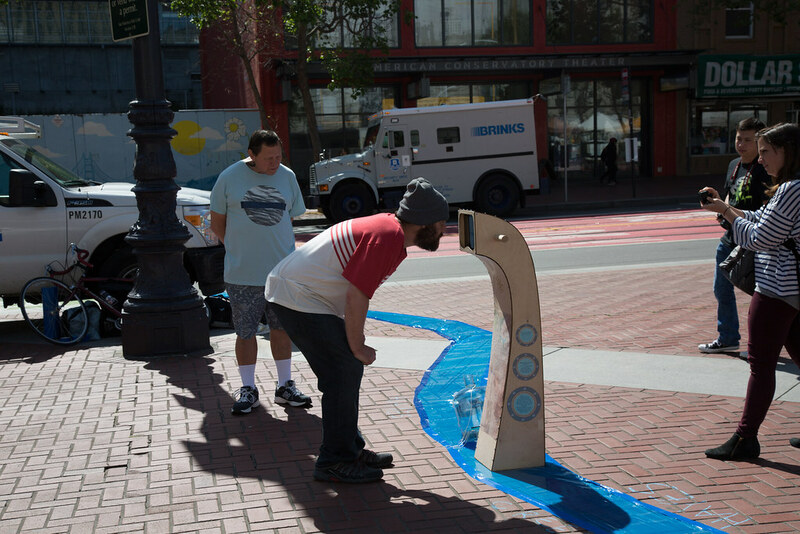 We believe that water has potential not only for ecological restoration but also for city playfulness and engagement with its inhabitants. 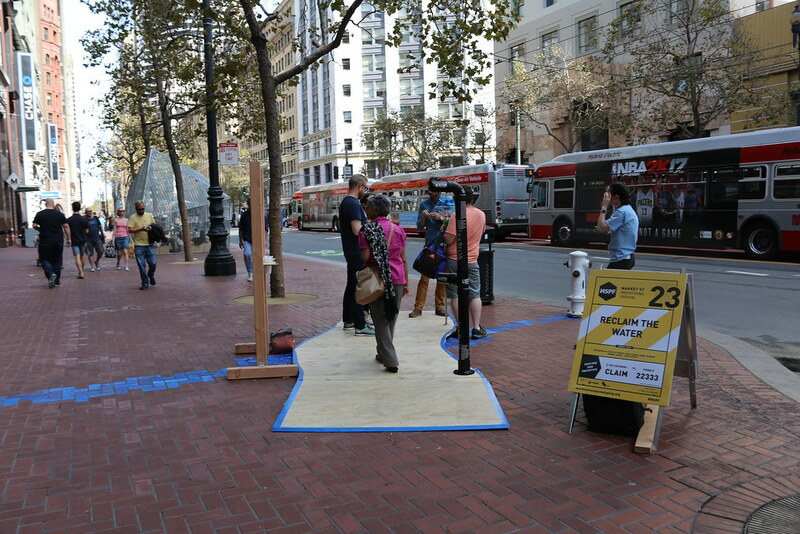 San Francisco is built mostly on sand dunes, as well as a vast network of hallows, creeks, marshes and bay waters. 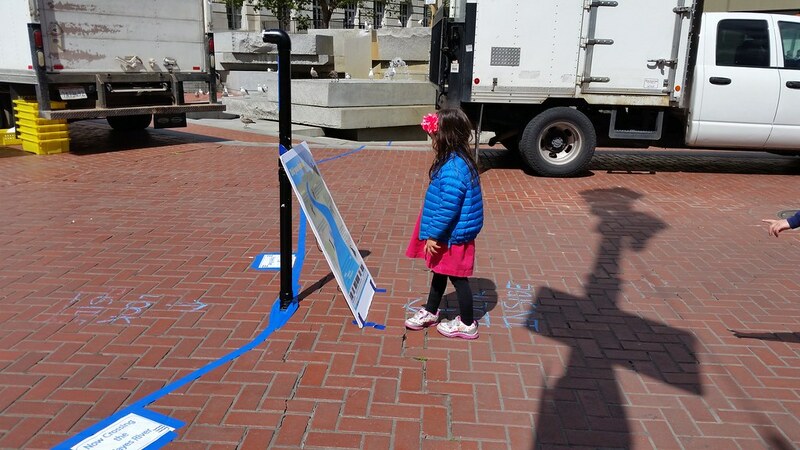 Several creeks and rivers still carry thousands of gallons of water each day under San Francisco’s Downtown neighborhoods, particularly around the Civic Center and Power Station. 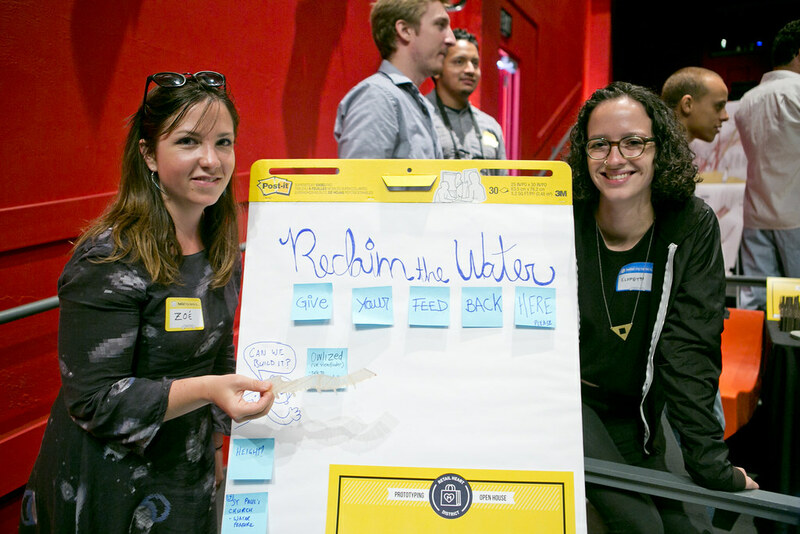 These watersheds have seeped their way into different aspects of our modern society. 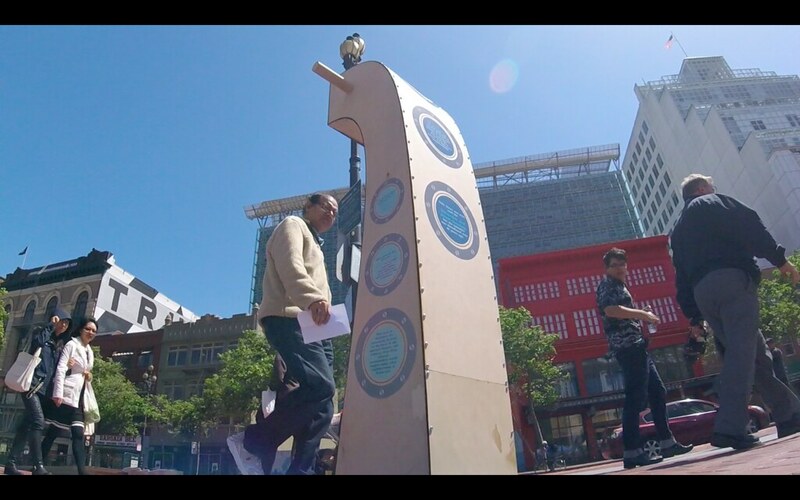 The water is flowing through the BART and some of our most important buildings such as the City Hall and threaten the integrity of their infrastructure. 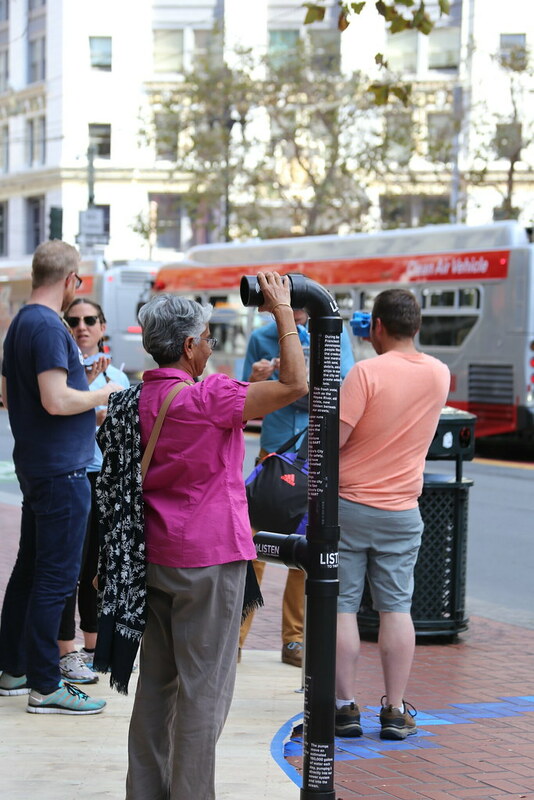 Some buildings pump as much as 100,000 gallons of this water each day, and the BART stations of Civic Center and Powell alone pump 14,400 – 17,280 gallons per day. 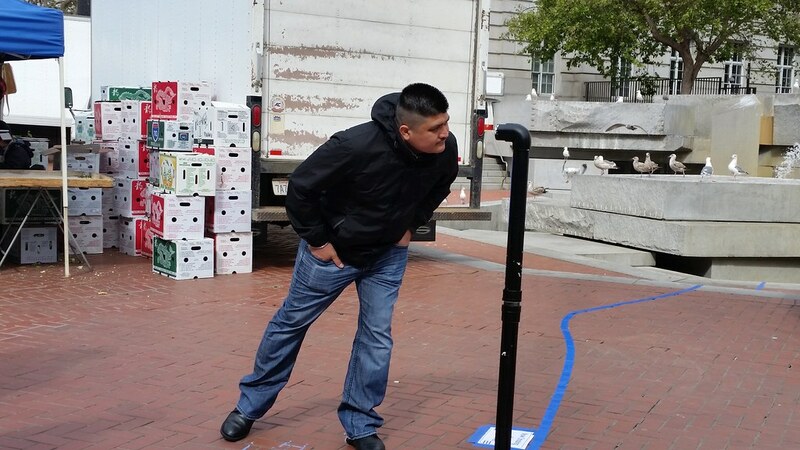 This water is currently being dumped in the sewage system, even though it could fill 30 or more street cleaning trucks per day! 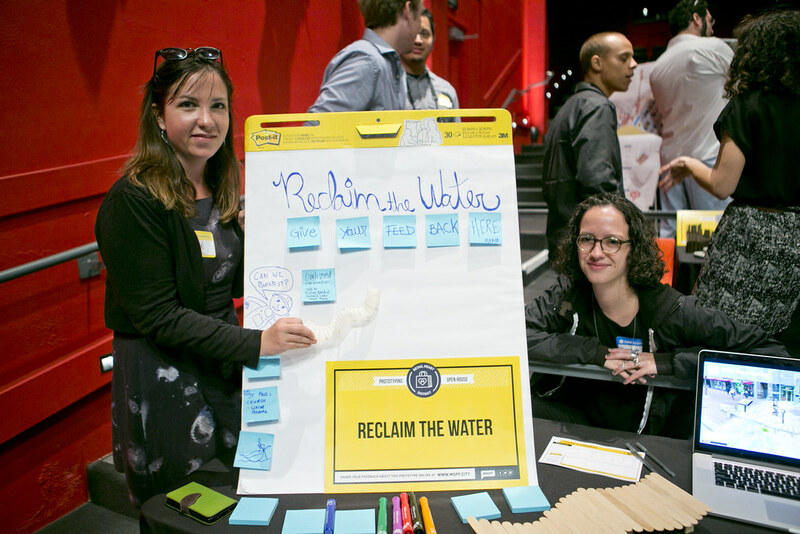 Reclaim The Water’s goal is to bring citizens, artists and decision makers together on how are we using one of our most valuable resources: fresh water. 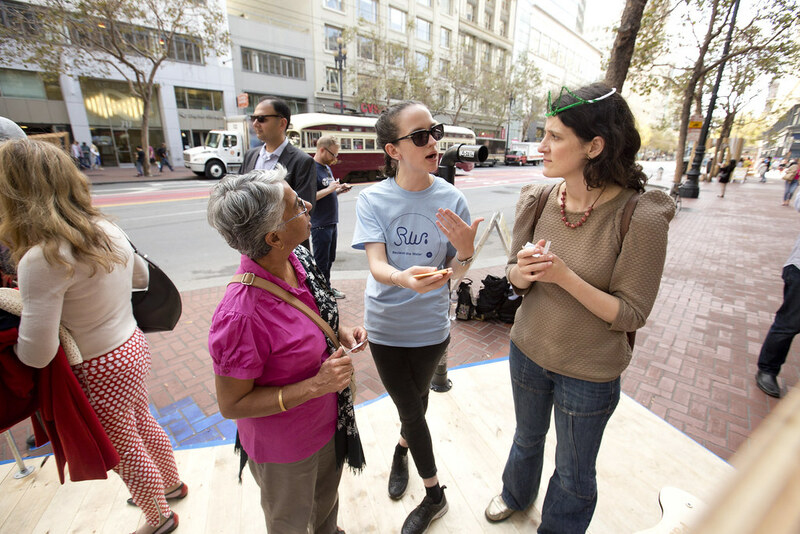 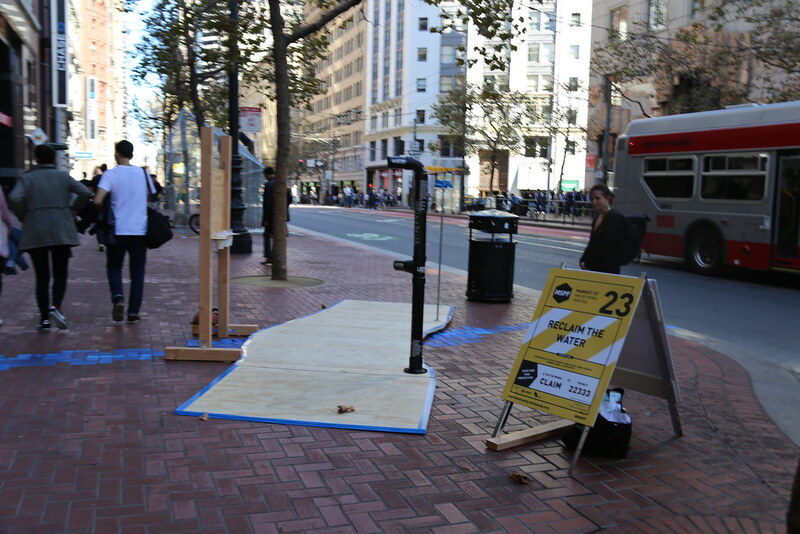 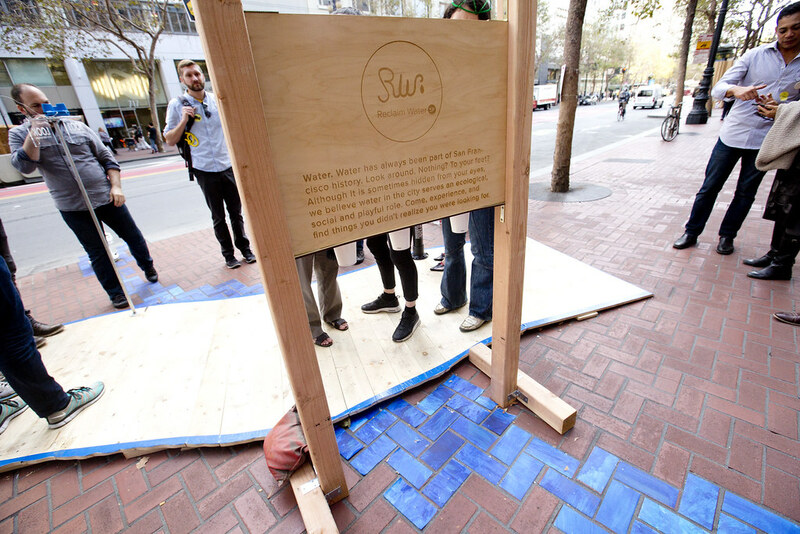 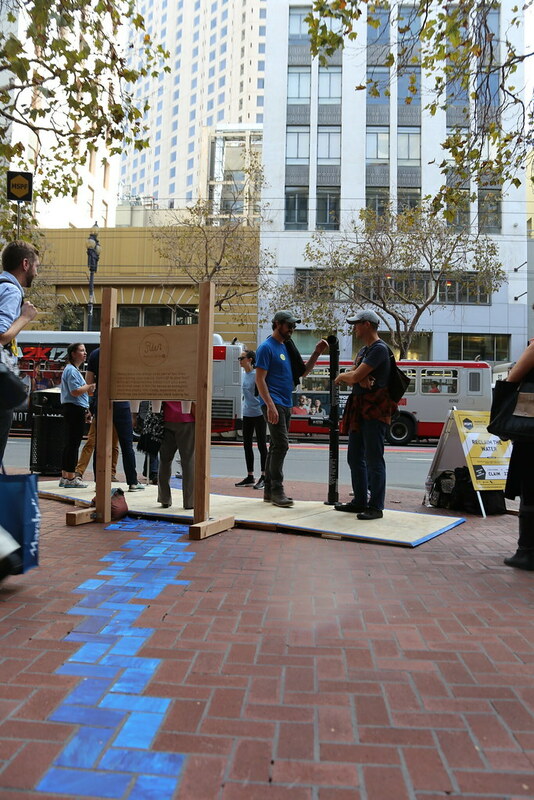 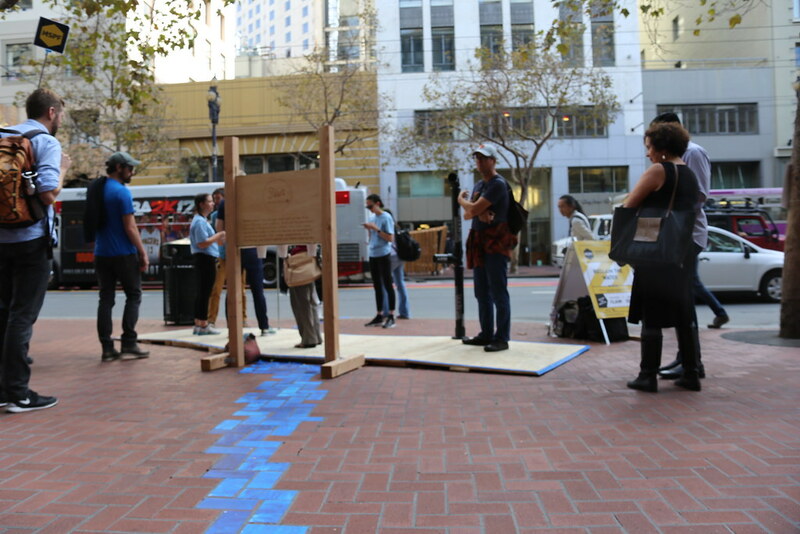 Reclaim the Water is an informative and participatory project around the underground non-potable water flowing under Market Street. 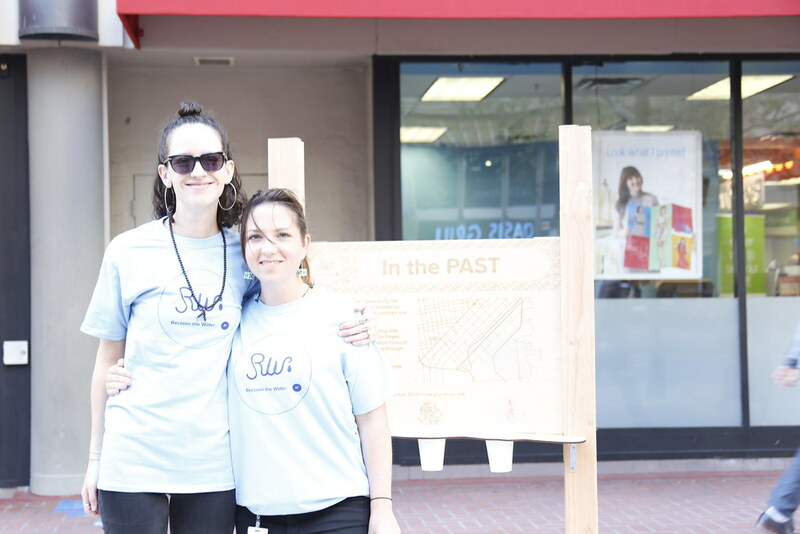 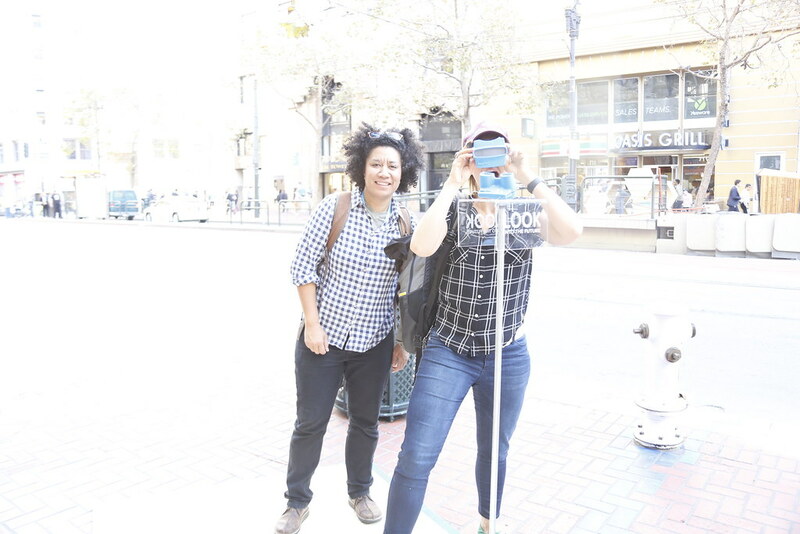 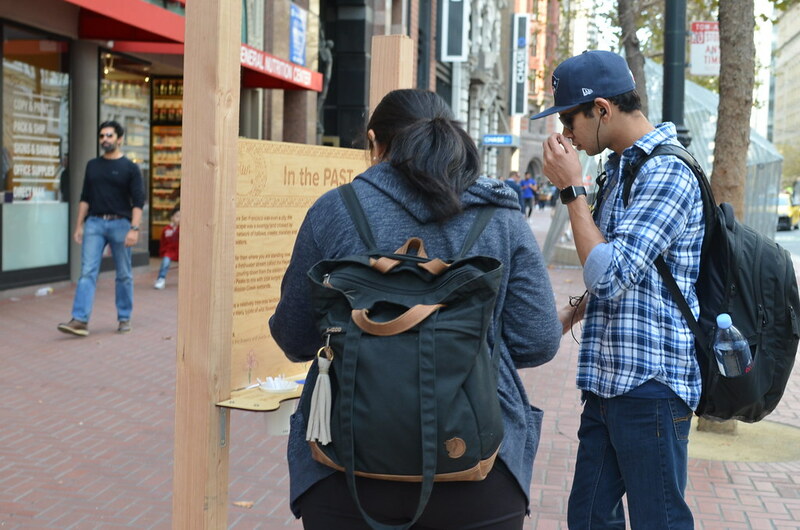 Through our installation, people are able to learn the history of the underground waterways in downtown San Francisco, understand what is there today, and engage in what could be tomorrow. 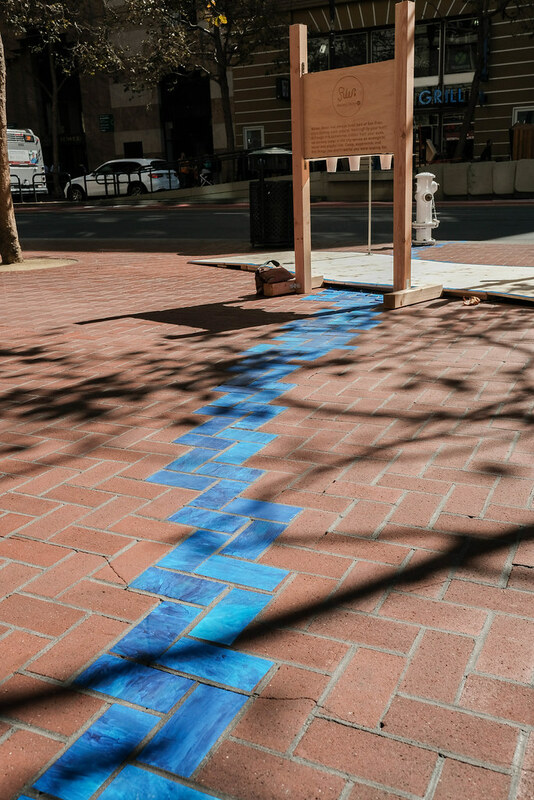 Colorful blue lines around the area of the exhibit will show people where underground waterways have run historically, to show them the extent of the invisible water network. 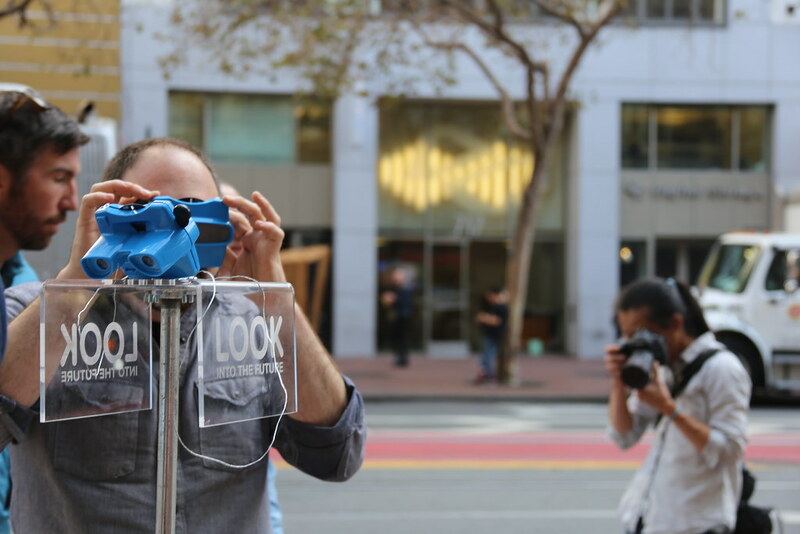 Several “periscope” viewfinders will emerge out of the ground. 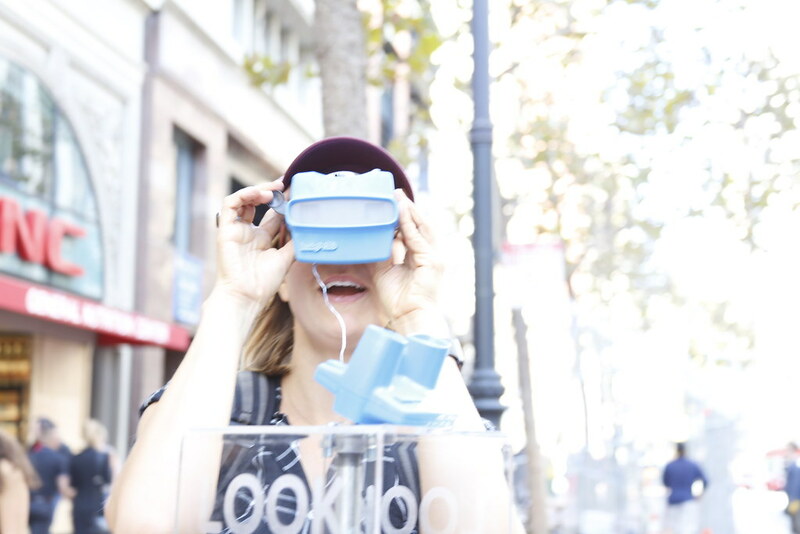 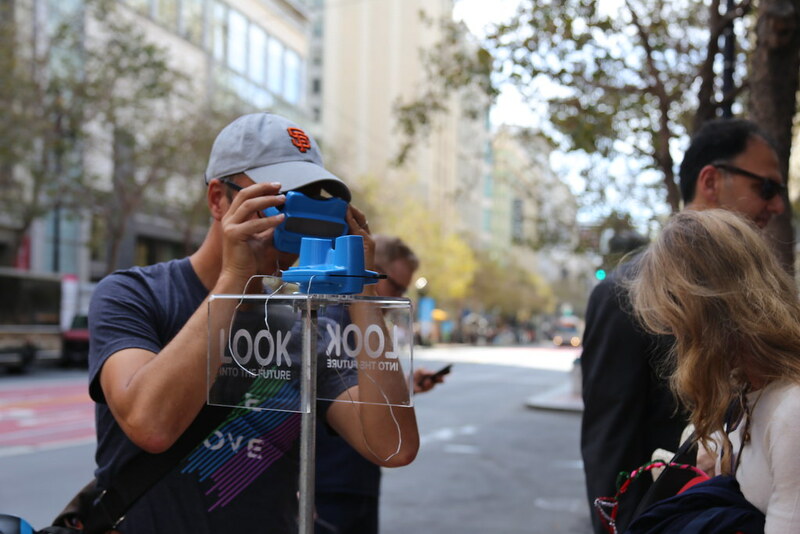 By looking into the viewfinders, people will view a multimedia presentation of San Francisco watershed history, and hear the sound of a creek. 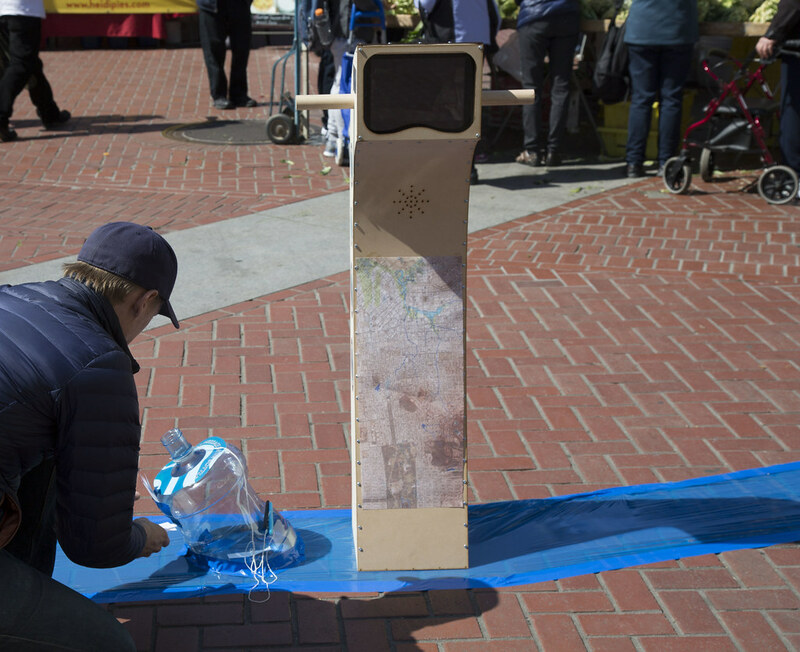 The periscope is simple to build using an Ipad and simple materials. 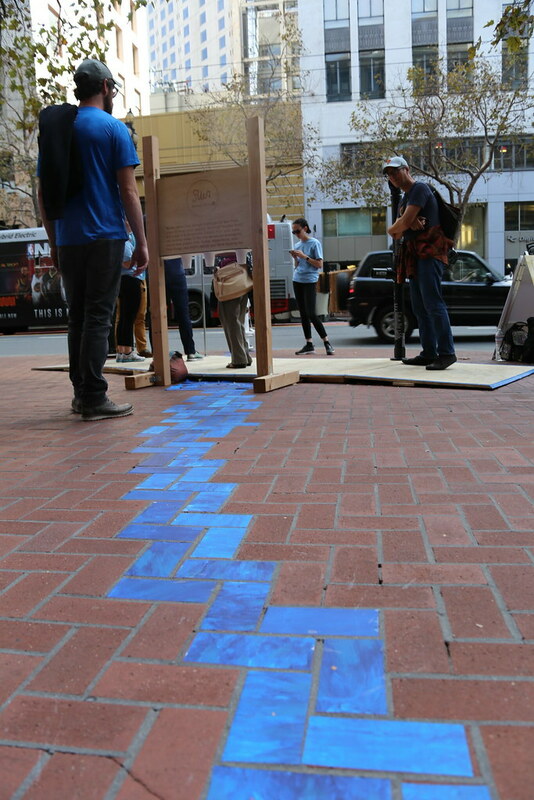 Visual information about today’s watershed and the art piece. 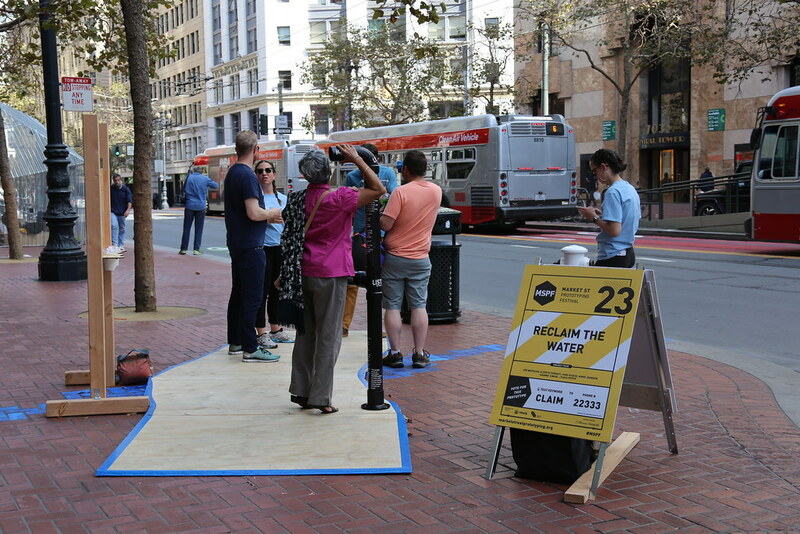 People will be drawn into the piece by colorful, attractive, and prominently displayed visual posters with important information about today’s water management, and invitations to engage with the piece. 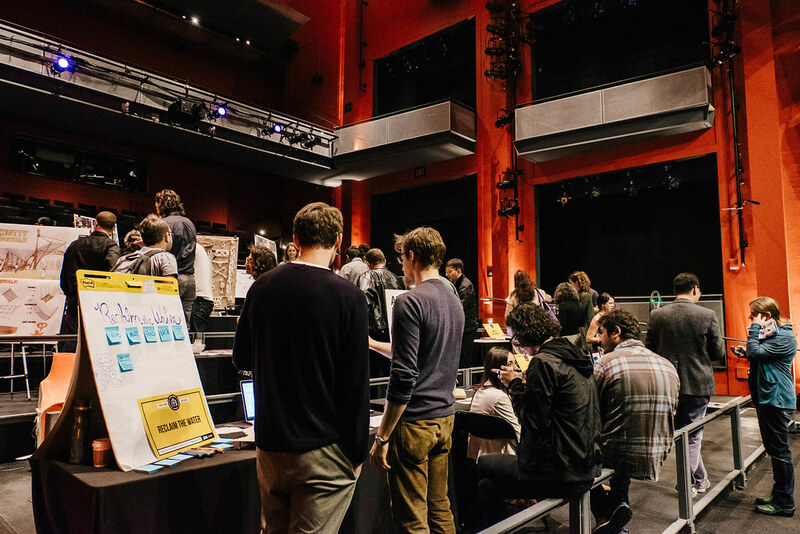 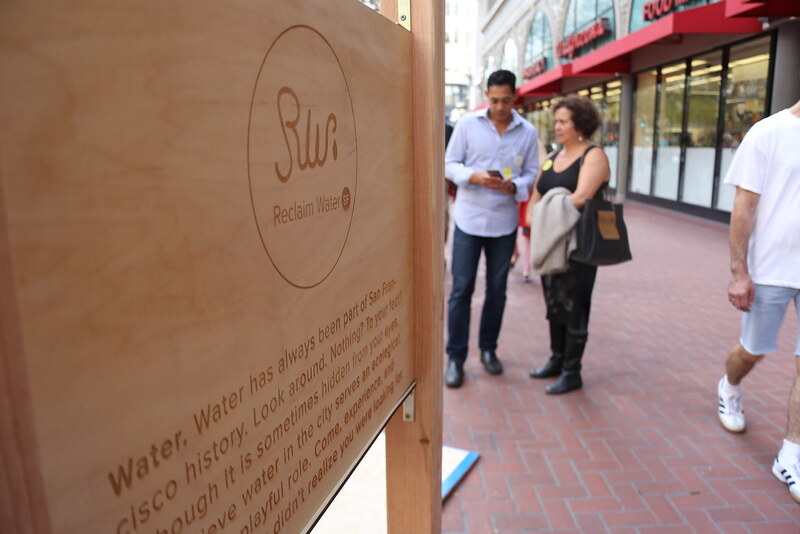 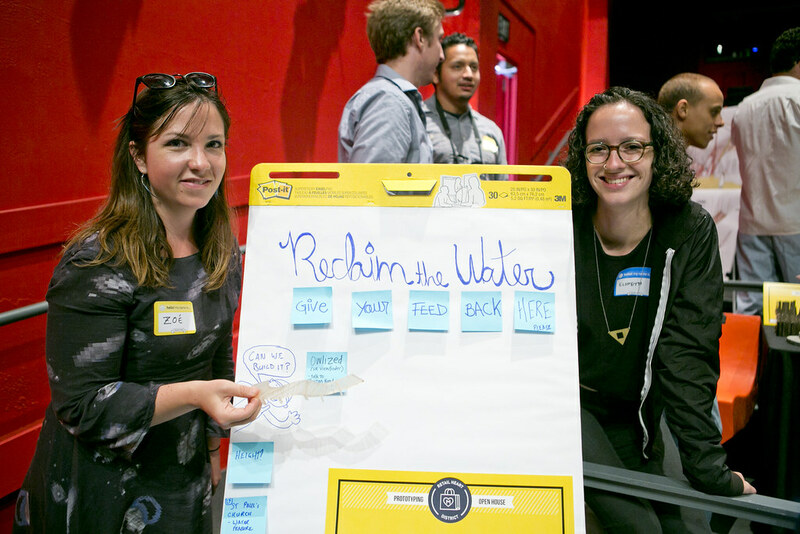 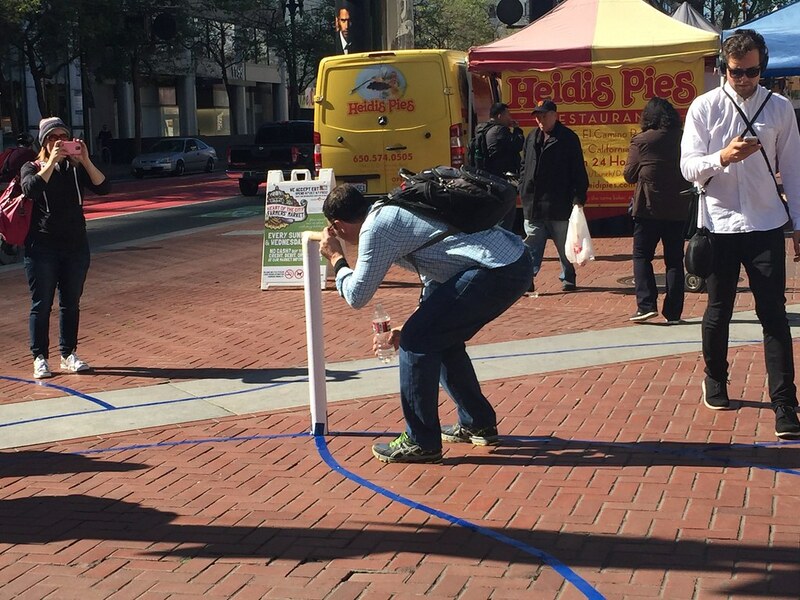 People will be invited to share their reactions, feedback, and suggestions around water usage by dropping a “message in a bottle.” These insights will later be collected and synthesized into possible actions to improve water usage in San Francisco. 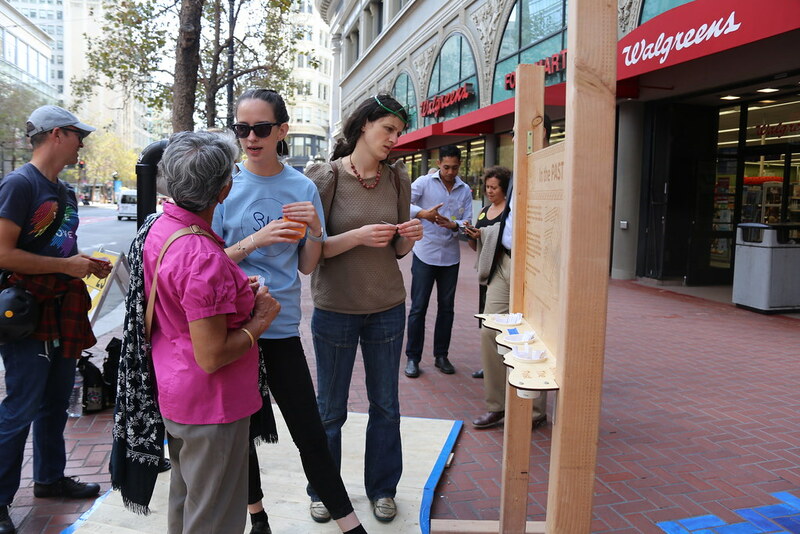 Earlier this month, we tested our project through a series of prototypes (pictures attached) which shaped the way we convey information to maximize awareness and persuade people to participate. 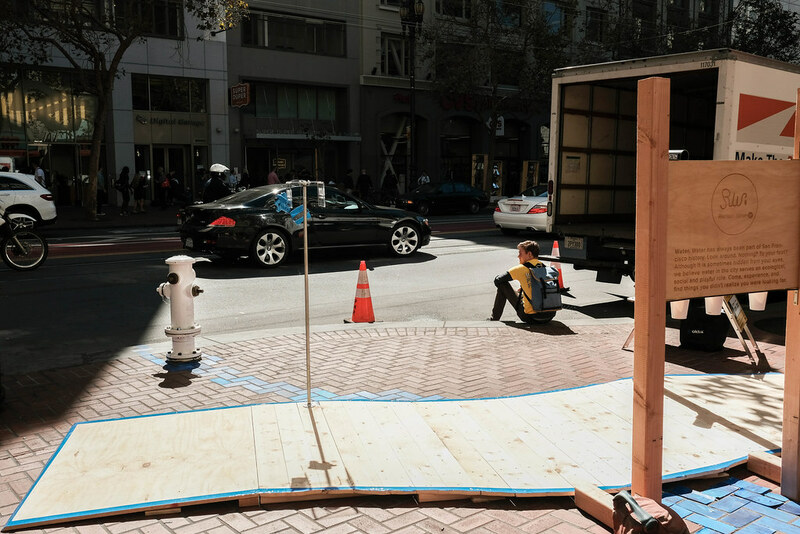 This prototypes were all based at the UN Plaza, but we believe this installation could be replicated at different locations along Market Street, and adapted to the hydrology of this location.